I really enjoyed painting this one. 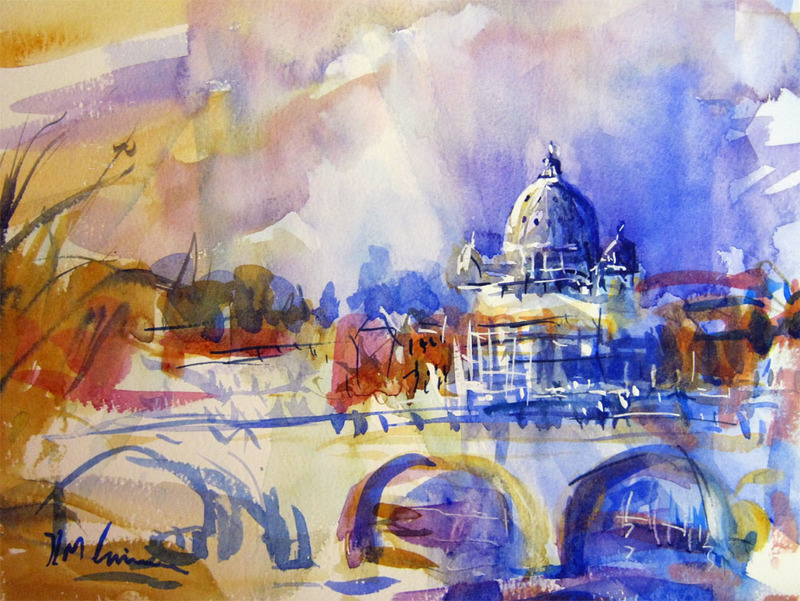 Rome is such an iconic location, finding a new way to present it to the viewer can be a challenge. I went for the kind of technique that allows the viewer to use their own 'visual imagination' to fill in the blanks. 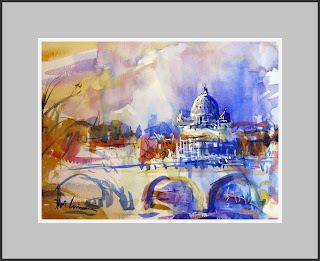 Watercolor is, in my opinion, the only medium that can do this successfully. Not saying I am there yet, but each painting takes me closer to that aim. 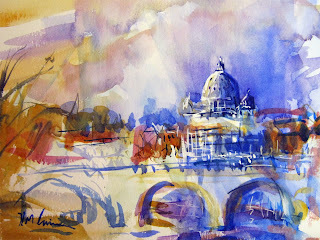 Accidentally came across your Blog - just wanted to say that I liked your watercolours: love the colours and the brush strokes. Wishing you much more inspiration. 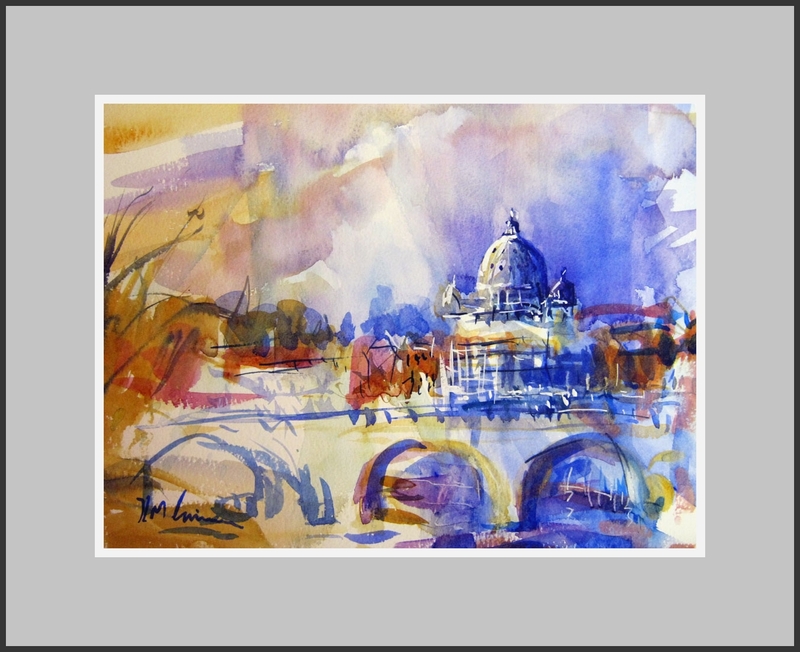 I love the colors and style in your "Rome in Colour". I first saw you in youtube and then your website. Thanks.